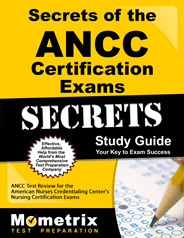 The American Nurses Credentialing Center (ANCC) offers the Adult Nurse Practitioner Board Certification Exam for certification purposes. This computer-based assessment is for licensed RNs with completed graduate work in an accredited adult nurse practitioner program who have earned a master’s, post-master’s or doctorate degree. A candidate must have taken graduate classes in advanced health assessment, advanced pharmacology, advanced pathophysiology, health promotion and disease prevention and differential diagnosis and disease management. Candidates also need to have completed at least 500 clinical hours in that program, which must meet specific requirements in order for a candidate to qualify to take this test. 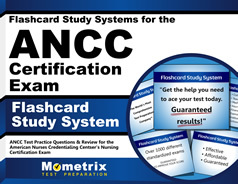 This test is taken as part of the Adult Nurse Practitioner – Board Certified (ANP-BC) credential. In any of the tested areas, the questions may be about a person who is in any stage of life and/or experiencing major medical conditions on any of these topics. The test covers a patient from adolescence (13-17 years old) through adulthood (ages 18 and up); however, the question may not indicate a specific life stage. The major questions on the exam will cover conditions in these categories: head, eyes, ears, nose, throat, respiration, cardiovascular system, gastrointestinal system, urinary system, men’s or women’s health, musculoskeletal system, neurological system, endocrine system, blood and blood cells or genetics, immune system, skin, lymph nodes, allergies, psychosocial/behavioral/cultural issues, communicable or infectious disease, emergency conditions, function or mobility problems, developmental issues, learning differences or handling pain. 1. According to Becker, which of the following factors plays a large role in influencing a patient’s health? 3. When performing auscultation of the lungs of a patient, you hear breath sounds that are of medium pitch and intensity, and inspiratory and expiratory sounds of equal length. You are auscultating between the scapulae. What type of breath sounds are these? 4. A young woman presents in the emergency room with sudden shortness of breath, coughing, and slight chest pain. She is on the birth control pill and just returned home from a car trip several hours away. What tests should you order? 5. What is the antibiotic of choice in a patient with syphilis, who reports an allergy to penicillin? 1. B: According to Becker, health depends on a patient’s age, gender, race, ethnicity, and salary or income. Education, family support, and spoken language are not included in his list of factors that impact a person’s health. 2. D: Both QA and TQM can be accomplished by either a peer review process or by observations made by the managing supervisor. The difference between QA and TQM is that QA only occurs periodically, while TQM is an ongoing process. 3. C: Vesicular sounds are heard at the top of the lungs, and are much more easily heard on inspiration than on expiration. Bronchial sounds are louder and higher in pitch than vesicular breath sounds. Expiration sounds longer than inspiration. Bronchovesicular sounds are somewhere between bronchial and vesicular. They are of medium pitch and intensity, and both inspiration and expiration are of equal length. Rhonchi are irregular sounds and are heard when there is fluid in the lung tissue. 4. A: Given her history, you should immediately suspect that she has a pulmonary embolus, or a blood clot that passed into the lung tissue. You should order an ABG to assess oxygenation, and an ECG and chest x-ray to rule out other causative conditions. 5. A: Except for neurosyphilis, the primary treatment should be penicillin G 2.4 million units IM for one dose. In patients who are allergic to penicillin, the treatment of choice is doxycycline 100 mg PO twice a day for 14 days OR tetracycline 500 mg PO four times a day for 14 days. Pregnant patients are an exception; they should still be given penicillin after undergoing desensitization.